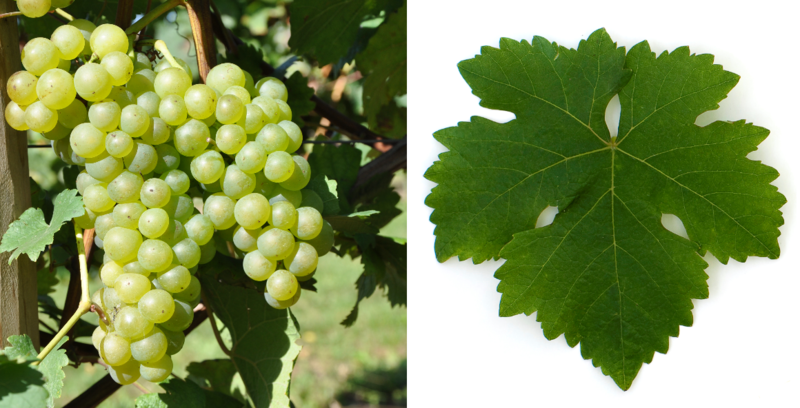 Synonym (also Queen Victoria White) for the grape variety Chasselas; look there. The origin of the white vine is unclear one of the hypotheses is Switzerland. Around 250 Synonyms (60 of them with the name Chasselas) attest to the old age and the worldwide distribution. The main alphabetically grouped by country are Queen Victoria White, Sweetwater White ( Australia ); Edelwein, Bassiraube, Frauentraube, Gutedel, Krachgutedel, Markgräfler, Schönedel, Silberling, Süßling, Viviser, White Gutedel, White Krachgutedel ( Germany ); Queen Victoria White ( England ); Bar-sur-Aube, Bon Blanc, Chasselas Blanchette, Chasselas Blanc Royal, Chasselas Croquant, Chasselas de Barde Montauban, Chasselas de Thomery, Chasselas Musqué, Lausannois, Mornant Blanc, Morne Blanc, Pinzutella, Raisin d'Officier, Rougeasse, Royal Muscadine , Valais Blanc ( France ); Chasselas Bianco, Chasselas Dorato, Lacrima Christi Rose ( Italy ); Plemenka, Plemenka Bijela, Praskava ( Croatia ); Gutedel, Junker, Moster ( Austria ); Sasla ( Romania ); Blanchette, Bois Rouge, Chasselas Blanc, Chasselas Croquant, Chasselas Doré, Chasselas Fendant, Chasselas Giclet, Chasselas Jaune Cire, Chasselas Plant Droit, Chasselat, Dorin, Fendant, Fendant Blanc, Perlan, Woods ( Switzerland ); Chrupka, Chrupka Biela, Chrupka Červená, Chrupka Fialová, Chrupka Petržlenová, Chrupka Muškátová, Chrupka Ružová, Chrupka Ušľachtilá ( Slovakia ); Bela Žlahtnina, Rdeča Žlahtnina ( Slovenia ); Chasselas Dorada, Elba Toro, Franceseta, Temprana Agosta, Temprana Tardia, Tempranillo de Nav, Temprano ( Spain ); Chrupka, Chrupka Bílá, Chrupka Červená, Chrupka Petrželová ( Czech Republic ); Shasla Belaya ( Ukraine ); Chasselas Piros, Fabianszölö, Fehér Chasselas, Fehér Fabianszölö, Saszla ( Hungary ); Amber Chasselas, Chasselas Doré, Golden Bordeaux ( United States ). This page was last modified at 12 December 2017 at 15:29.